You are here: Home / You / 30+ Totally Awesome Habit Tracker Ideas in your Bullet Journal for 2019! Have you ever started a new habit and after 3 days you just can’t stick with it any longer and you give up? Maybe a habit tracker will help! Yeah, me too! In fact, 3 days seems to be the magic number for me! If I can last longer than that, then I know I’m going to succeed. We all start new habits full of optimism, but if we end up quitting after just a few days it takes a huge toll on our motivation and self-esteem. It’s so easy to beat yourself up – “I didn’t stick with going to the gym last time, so why should I bother doing it again now. I’ll just fail again”! That’s not good! Stop talking to yourself like that! So you need to come up with new ways to keep yourself motivated and on track. I talked a lot about motivation in my 8 Simple Willpower Hacks post. If you find it hard to start a new habit or stick with it, then you REALLY need to check that post out. What is a Bullet Journal Habit Tracker? One way to help maximize your chances of sticking with a new habit… no matter what it is… is to track it. There are a million different ways to track habits. You can find habit trackers in the form of cell phone apps, accountability partners, software, fitness trackers, notebooks, journals and more! My absolute favorite habit tracker is, of course, my bullet journal! I’ve talked a LOT about my bullet journal and how it’s transformed my life and made me sooo much more organized. But I have to say that my number one, numero uno, favorite thing is bullet journal habit trackers! Check out some of my other Bullet Journal posts for lots of tips and ideas! Pssstt… if you haven’t started a bullet journal yet, then I always recommend the Leuchtturm hardcover journal! To put it simply, a habit tracker is a page in your bullet journal where you record every time that you perform a new habit. For example, if you want to start jogging 5 days a week, then every time you go for a jog you write it down in your bullet journal habit tracker. This might not seem like something that will keep you motivated, but it’s kinda like having a silent accountability partner. Every time you mark your new habit in your bullet journal you will see the progress you are making a feel like you are accomplishing something. So you might like the sound of having a habit tracker but you’re not sure what you want to track. Well, there’s a lot to pick from! Below are just a few ideas to get you started! Below are some of the best habit tracker ideas from around the internet. I’ve broken them down into areas to make it easier for you to find inspiration! A word of warning about these ideas – some of these designs are VERY artistic. Even if you aren’t an artist, you can still create a wonderful custom habit tracker. Please, please, please don’t compare your drawing ability to others! Your bullet journal is your own safe space. It is completely unique to you. It doesn’t matter how fancy it is – it’s yours! 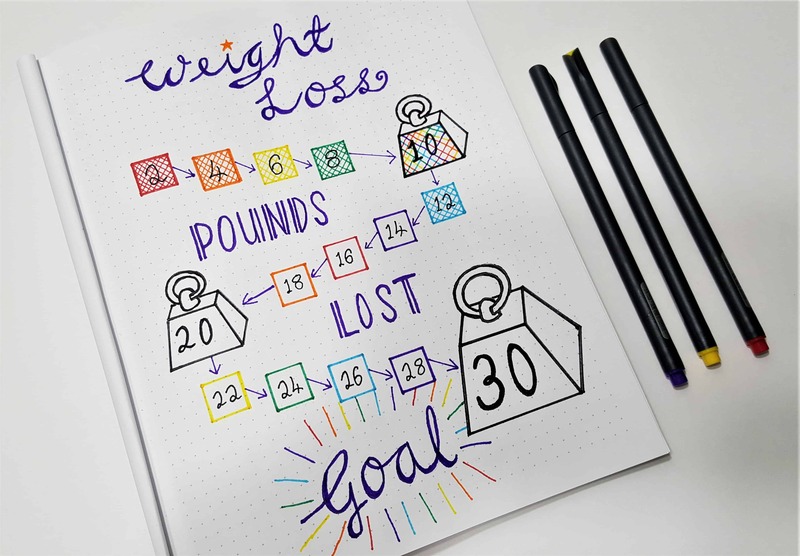 A great way to track your healthy lifestyle is using a habit tracker. CLICK ON THE IMAGE BELOW to check out how I use a habit trackers to keep motivated and lose weight! Here’s some ideas to give get your mental juices flowing! If you’re anything like me then you REALLY need help keeping track of your finances. I especially like to track exactly how much I spend every day. It’s amazing how quickly those little purchases can add up. Check out my post all about how I use money habit trackers to keep control of my spending, saving and debt! 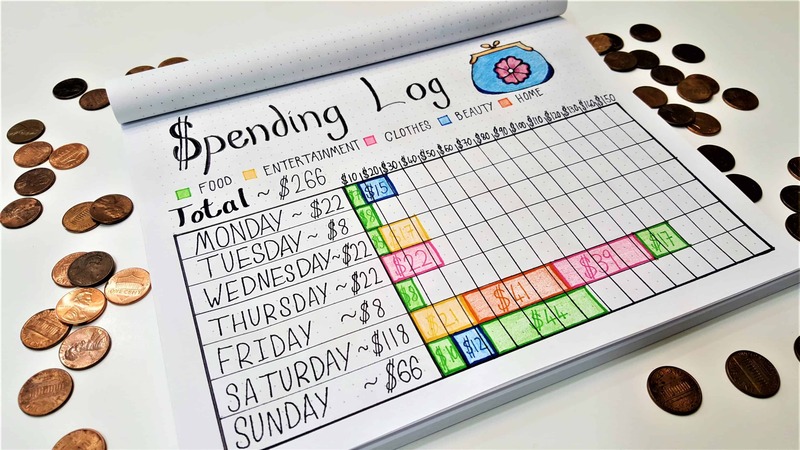 These bullet journal money habit tracker ideas will help get you out of the red and back in the black (e.g: saving more than you spend!). I lost track of EVERYTHING at the end of April, but still didn’t do too bad for extra savings. Always keep track of where you stand, it’s so nice to be able to see your progress and feel like it’s worth it! One of the most popular things to track in a bullet journal is your mood. 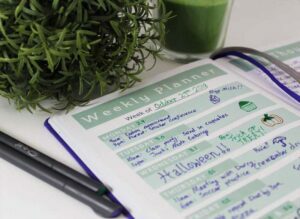 As you fill out your bujo every day with a reflection of what you have done that day or planning for the following day, it’s super quick and easy to also record your mood. Using a mood tracker can help you identify what causes swings in your mood. Maybe you will notice that you always feel happy after a visit to your friends. Or maybe you feel “blah” right around the full moon (this is me!). Whatever the causes of our moods, it is nice to have a little bit of warning of when they might change! There are some wonderful and colorful mood tracker ideas out there. Remember that you don’t have to be a great artist – just start with something simple that fits your style. Next, we have a selection of other ways you can use a habit tracker in your bullet journal. I like to use my bujo to tracker the books I’ve read and the ones I want to read! How many times has someone suggested a book to use, but by the time you’re ready to read a new book, you’ve forgotten the title! Check out my post about book, TV show and movie tracker ideas. 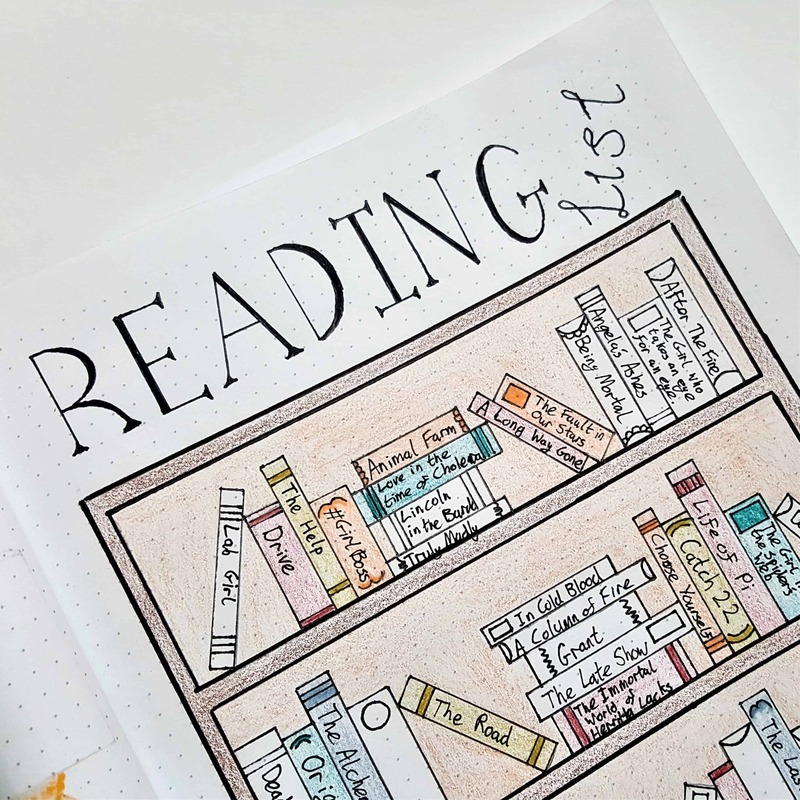 Why not try some of these ideas in your own bullet journal? They are fun and help keep your life and mind organized! July 2018 – Currently Doing I am loving this new spread in my Bullet Journal! This will be my summary page at the end of each month to catch all the goodies that happened. I just wrote bullet points for some of the best things from the last four weeks. This is a spread from my shop, available in PDF Download and Sticker! Link is above in my bio! Hopefully these habit tracker ideas will help you create some wonderful pages and spreads in your bullet journal! I’d love to see what you create, so please share!